A collaborative project between Janine Magelssen and Lise Bjørne Linnert, sound artist Nils Olav Boe, choreographer and dancer Øyvind Jørgensen. The four artists have found areas of close proximity between the different works, which generates a dialogue between them. It is this conversation, which happens between the art pieces in the exhibition that creates the so- called “white noise”. 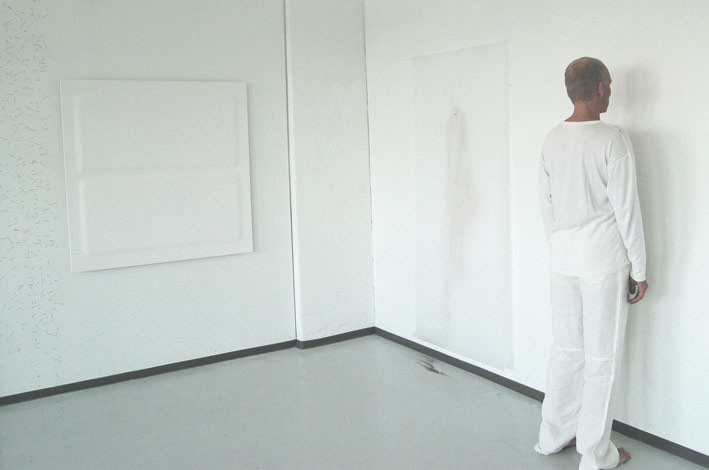 Concept: The project White Noise was initiated in 2005 between Janine Magelssen and Lise Bjørne Linnert. 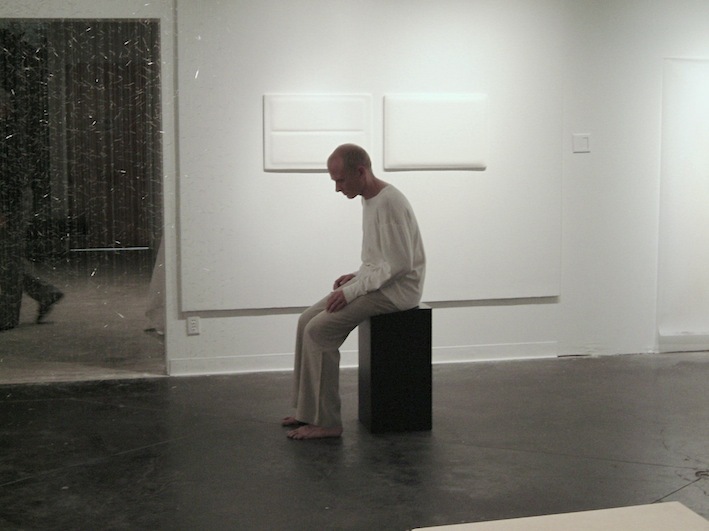 Having studios at the same floor the artists discovered similarities in their artistic practices and interests which they wanted to explore further in a collaborative project – White Noise. After showing the project in 2005 at Galleri Gathe Bergen, they wanted to explore the process further and invited Nils Olav Bøe to create a sound piece and Øyvind Jørgensen to choreograph a performance. The four artists have found areas of close proximity between the different works, which generates a dialogue between them. It is this conversation, which happens between the art pieces in the exhibition that creates the so- called “white noise”. Janine Magelssen and Lise Bjørne usually work separately, as individual artists. They each seek inspiration from different sources and realise projects on an independent basis. As a result of a long acquaintance and fruitful conversations, the two artists have nevertheless discovered that their respective oeuvres have references in common and that their conceptual and philosophical line of thought leads to a similar response when it comes to the reception of their respective works. This discovery of points in common has inspired them to produce a large joint exhibition which facilitates an interplay between their works. The exhibition has been given the title white noise and this catalogue is a documentation of their collaborative project. It is neither materials nor media that Magelssen and Bjørne have discovered that they have in common, but themes: they are both interested in philosophical and psychological issues that raise questions about man as a sensuous being. 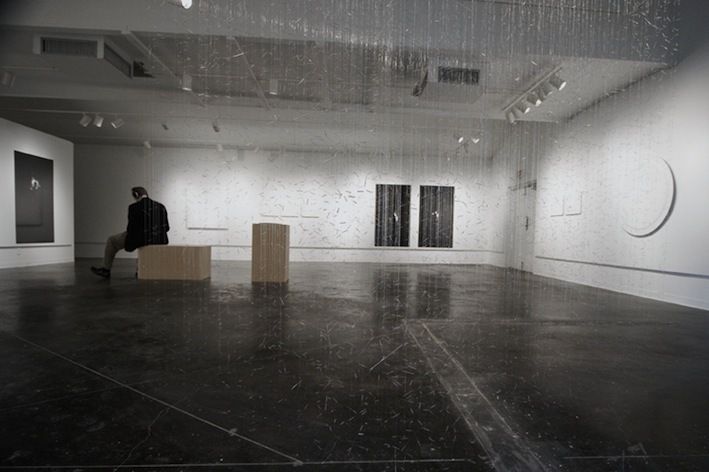 Their investigations into human senses and psychology start with aspects of form, traces, time, movement and sound and converge in parameters such as “the power of emptiness” and “the noise of silence”. 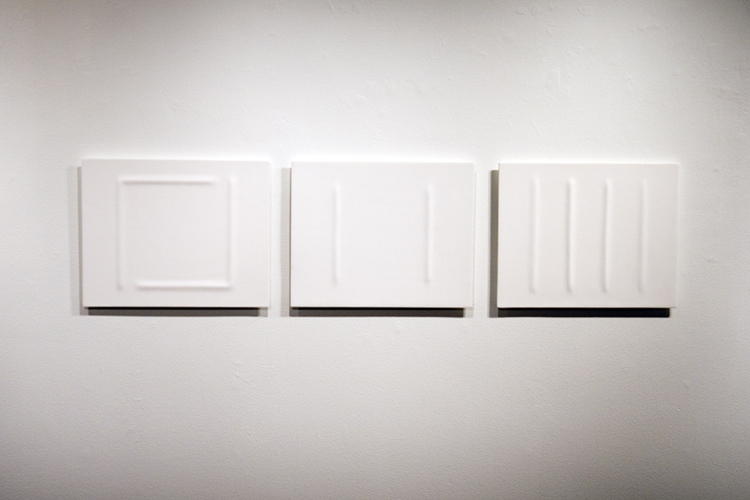 Magelssen works within a tactile and minimalist idiom; her contribution to this exhibition is a series of white, monochromic reliefs. These wall objects are in essence geometric and have a stylised formal language in which volumes protrude as shadow-generating reliefs onto the surfaces. The theme of the works has a spiritual aspect rooted in abstract human feelings. In White Noise, Magelssen’s works interact with Bjørne’s, whose theme focuses on the body’s relation to its environment and surrounding space. Bjørne’s room-based needle installation and her series of large format black-and-white photographs investigate themes such as bodily traces and touch. Both employ an artistic language that can best be described as subtle. They use few artistic effects and this simplicity is the result of a deliberately reductive process; both Magelssen and Bjørne are searching for a kind of point zero or a concentrated core which empties the works of content and at the same time invites new levels of reflection. The exhibition hall becomes an arena in which to explore the energy that arises between the works of the two artists. For example, Magelssen’s work circle in circel is placed so that it interacts with Bjørne’s needle installation Twentytwothousandeighthundredandsixtyseven. 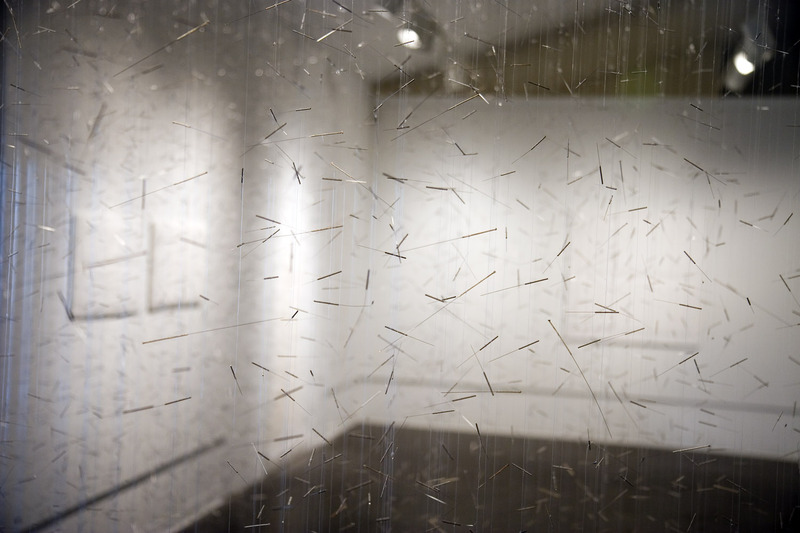 The title of the latter refers to the 22867 acupuncture needles hanging from ceiling to floor on thin, mobile fishing lines. These needles, that have been in contact with human bodies during treatment sessions, form a transparent, yet nevertheless impenetrable network, where the gaps between the needles have an equally important symbolic function as the needles themselves. 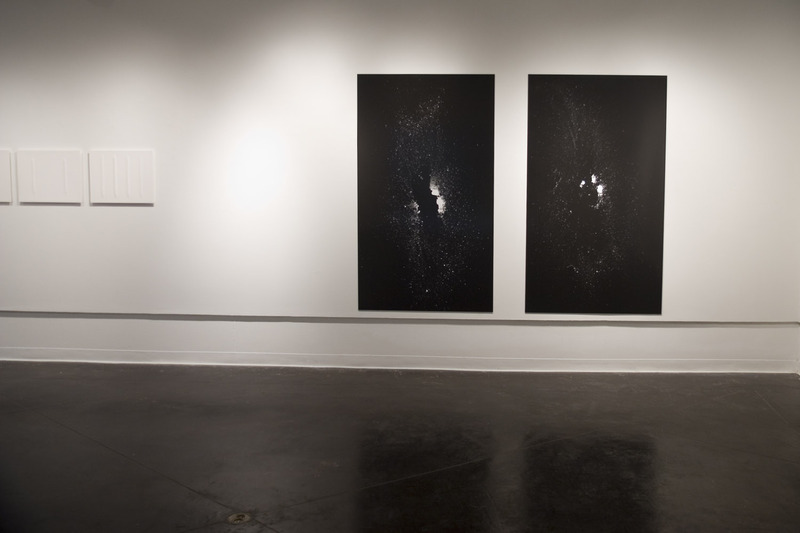 The work has a clearly narrative form and evokes thoughts about illness, suffering and pain. Its relatively strong expressivity contrasts with Magelssen’s white and neutral circle, which can be perceived as a discreet and anonymous pendant compared with the sharpness of the needles. 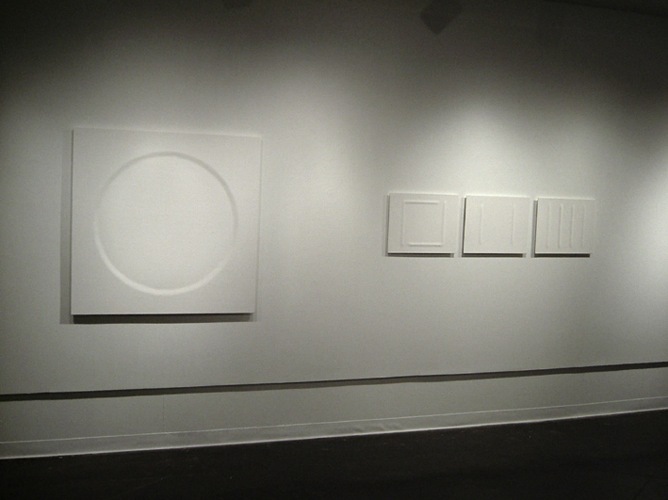 In the tension that lies between the two works, various potential associations can arise; the circle can in this context be seen as a metaphor for freedom and the relief of suffering, or, on the contrary, as a sign of death and eternity. In addition to these relatively concrete interpretations, the works can also be perceived in a more abstract and sensuous way through the concepts of sound and movement. 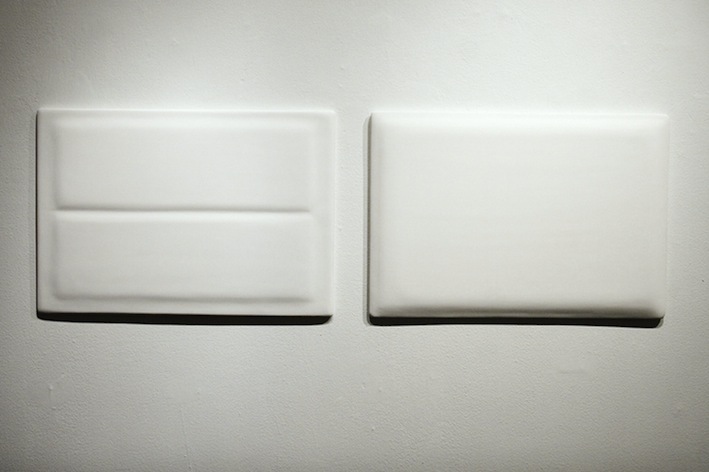 In Magelssen’s white objects, “sound” is expressed through the gently undulating volumes of the surfaces. 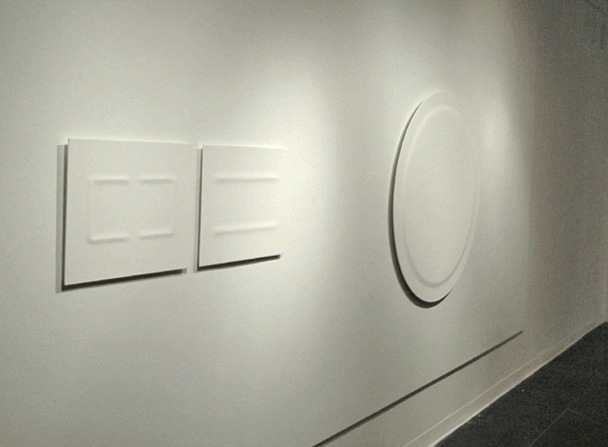 The reliefs are often formed by means of vertically and horizontally positioned dots or straight lines that have references to a musical or sound-based score. By using our senses to the full, we can interpret and perceive the works as images of sound. The sound in this case is “silent” and is primarily experienced through our sense of sight and touch, and not through our sense of hearing.